This version does not contain any new visible features. A review of the layout of the action buttons and other elements at the top of the screen was done to provide more visibility to the important elements. By default, the criticality of the CI is related to the Incident Impact field, which means that adding a CI with high or critical criticality, will modify the impact of the incident. This behaviour is very useful in IT management, but is not always desirable in other types of teams. A new option can now modify the behaviour so that Octopus ignores the criticality of the CI in question in the selection of the impact. If you want to enable this option, contact our Service Desk and ask to modify the Incident.Impact.DeriveFromCIImpact.Enabled setting. In order to assist in the initial processing of a request, the Classify action has been created, which combines the important fields to validate when a new request isreceived. See the Classify Action article or watch the short vidéo bellow to find out how it works. 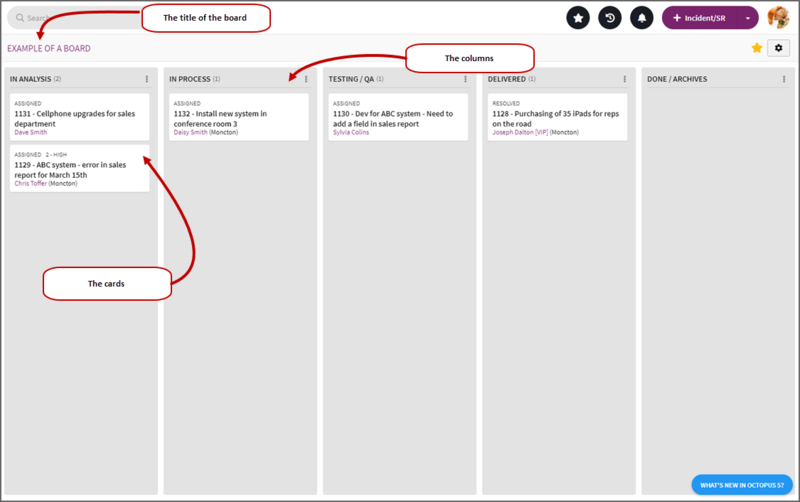 We use the Kanban method in the development of Octopus and we created a board to follow our work. When we started using it, we immediately thought that this concept could be very useful to our customers as well. So we introduce a brand new concept with the first version of the Octopus Board that allows you to create a board in just a few steps and add the wanted Incidents and SRs. Other features will follow, including the ability to add a card that is unrelated to a request. See the Explainer vidéo to find out how it works. Lists with columns that come from custom fields can now be used. The Site field is now available from the Parts module to allow more accuracy. The choices available for the field come from the reference data and work the same as in the other Octopus modules. Click the link to find out more on Part Management. Elements of AD synchronization based on a criterion that is empty can now be excluded. For more information, see the Exclusion of Specific Record From AD section of the ADSIReader - Integration to Active Directory article. In order to improve the visual clarity of this type of field, the Checkbox field type in the Octopus forms has been modified to present the information on the right instead of on the left. You can now process an approval in Octopus 5 with an action. We can now see the total effort of the activities that were done in a request at the top right. A new tag has been created to add a default priority to incidents and service requests created from MailIntegration. For more details, see Configuration File (XML) section of the MailIntegration - Create Incidents or Events from Emails article. It is now possible to delete attachments using the garbage can icon when you are in edit mode. In a context where hierarchical approvals are not possible, the user must select the approver option is often used with a specific group.In the past, only one such approval could be chosen from the Portal. But now we can present several such approvals to the user when creating the request, thus ensuring greater flexibility in the approval flow. For more details, see The User Must Select the Approver - With Multiple Approvals section of the Automated Approvals - Reference Document article. In order to improve the information available to collaborating teams, the list of incidents / SRs related to a user or a requester, now shows the list of SRs where one or more tasks have been shared with the current team. Except in the case where the Collaborator team can access SR option is disabled. For more details, see the User Record in the Collaborating Team section of the Multiteam collaboration - Reference document article. A new tag has been put in place to help manage CI users from a source file. This option allows you to add and remove CI users from an import. For more details, see the Manage the Relationship Between Users and CIs section of the DataImporter - Import Relations Between Users and CI article. A form with a CI type field now shows the equipment in card mode when it is selected or when the request is viewed. A new tool has been developed for customers whose attachments are in the cloud and who want to download a copy of the attachments locally. For more information, see the AttachmentDownloaderApp | download a copy of the attachments article. It is now possible to copy a role defined in one team to another team. To do this, use the Send to library action of the contextual menu of a role. This will make it available to all teams. Then, from the target team, you can import this role from the role library. See the Role Management Wiki page for more information. DataImporter now allows you to import the parts used in a request. The detailed documentation will soon be available on the Wiki. It is now possible to see the service contracts and the CIs linked to them. In card mode, from an incident/SR or a CI, an overview of active service contracts is available. You can also see if a CI is linked to a service contract from the incidents/SRs. And all the service contracts can be viewed from the CI record. Modifications can also be done to basic elements of a service contract. The keyboard navigation is now available in list and card mode. Use the up and down arrows to navigate. Use the Enter key to open a record. In list mode, a selected line is distinguished by a gray background. Using Octopus 5 requires the attachments to be hosted in the Cloud. But in some environments not all teams are ready for this. It is now possible to move teams individually to Cloud mode. An authorization is required before proceeding. For more information, we invite you to complete the Octopus 5 (Web) and Mobile version for Octopus users request on our Web Portal. It is now possible to use the Reopen action for an incident or a service request on a Resolved request. The preview version of Octopus 5 is now available in English and Portuguese. Customers interested in becoming familiar with this version in development can complete the Octopus 5 (Web) and Mobile version for Octopus users form on our Web Portal. Starting with the 4.2.430 version, customers with a local Octopus installation will first have to deploy the Microsoft .NET Core component before they can install the update. For more information, see the Octopus prerequisites article. Notifications for a subscription in list mode will now mention New or Update after the list's name to explain the reason for the notification. For more information, see the Custom notifications Wiki page. You can now filter the CIs of a planned request by site to accommodate the multi-site reality of several companies. Therefore CIs can be added for one or more sites / sub-sites in CI type or Model type planned requests. See the Planned Request Management article to find out more. In order to standardize the view in Octopus 5, you can now choose to see the elements in the Home module in List Mode or Card Mode. The selection of the CI in a request has been modified to reproduce the general behaviour of Octopus that suggests the user's CIs and allows the selection of software only through the computer for an incident. The event record now displays requests related to this event. Tooltips have been added throughout Octopus 5 for additional precision on the various buttons, options and to display the request description. If your value lists contain values that you no longer use, you can now disable them by using the Active checkbox. For more information, see the article on Value Lists. The new operator called Contains this phrase allows for high-performing searches when you search for part of a sentence, for example, "problem with Word". This operator is different from Contains these words which can search for the words in any order, for example, "Word problem". Before the introduction of this new operator, it was possible to use With the exact phrase, but this operator is much slower; it was designed to search for "characters". For example, we can find "001" in "SRV001QC". It is neither a sentence nor a word, but the middle of a word. Although With the exact phrase has its use cases, it remains a less common case. Note that the With the exact phrase operator has been renammed Contains exactly. See the Advanced Search Wiki page to find out more. 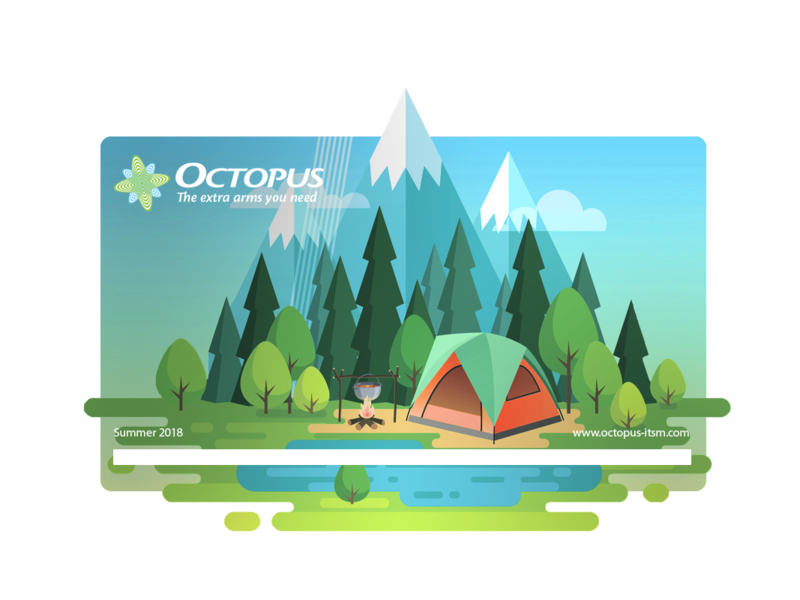 Several customers have asked us to be notified when a new version of Octopus was installed in their environment to let them know what is new and validated if everything works in their environment. Warns when the documentation for a new version is posted on the Octopus Wiki. This allows Octopus users to see the changes coming soon. Refers to the Release Notes page, which you are reading. We recommend that you enable this notification in one place to avoid duplicate emails. Warns that an environment has been updated. We recommend that you enable this notification on each of your DBs (test and production). For more information, see the Notifications article. The detailed record of a CI now displays the other CIs linked to it as well as the users. The Change CI action that allows changes to one or more CIs has a new option. If you change the manufacturer, you can now opt to keep the model. During the change the system will automatically add the correspondence between the new manufacturer and the model. You can now disable the CI types you no longer use. Inactive types are not offered when creating new CIs, which avoids errors. You can now create deployment tasks directly in a change template. So when changes are created from the template, the deployment tasks are created automatically. To find out more, read the Deployment Calendar article. The detailed file of a user now displays the CIs linked to the user. In a future version, it will be possible to modify the CIs linked to the user. The detailed file of a user now displays the complete request history of the user. In environments with multiple domains or where some users have more than one Windows account associated with their user file, synchronization with ADSI overwrites the username to keep only the one found in the AD. This new setting will allow you to synchronize while retaining other usernames. For more information on synchronizing users with AD, see the ADSIReader - Integration to Active Directory page. The data available in the Costs tab of a CI can now be used in lists and in advanced searches. You can add these columns and export them to Excel to make graphs or apply formulas. Existing requests are now isolated from form changes. That means that when you edit the form of an incident or SR, only the next requests will implement the changes. Past requests will keep the form as it was when the request was created. Warning: When updating to version 4.2.400, Octopus will isolate forms for requests already created. However, if a form had already been modified between its creation and the update to version 4.2.400 Octopus is not able to make the detection and the version retained for the form will be the one at the time of the update. From the Web Portal only, it is now possible to put the choice of one team under another. This is to accommodate times when there will be more than one team in Octopus for a single service. For example, if in a database we have teams for IT , Building Management, Human Resources and Staffing, we could put the Staffing team under Human Resources on the Web Portal. Contact us for more information or to implement this option. To find out more about the look of the Web Portal see the Web Portal - Setting up the modern mode page. The limit of the Alternate subject field has been increased to allow the adding longer variables in the programming from the reference data management. The Do not send email notifications to this user field can now be used in lists and in advanced searches. You can now use the Take assignment action in a task. To minimize the risk of accidentally losing an activity, the system will ask you to confirm when you cancel the entry with the Escape key. Some of you came to our offices to test Octopus 5. We observed your reactions and saw where there was room for improvement. Simplified input of effort: simply enter 5 to indicate 5 minutes, without having to enter the full 00:00 format. This makes it possible to do "basic" event management without having to go into the Windows application. As a result of the change to enter the date of the activities, we received feedback from a few customers. We decided to immediately improve the data entry of activities to make the process even easier. The Date field now shows two radio buttons for entering the date in Automatic or Manual mode. By default, the automatic entry will put the activity in the date/time at which it has been saved. While choosing the Manual input method displays the current date, allowing you to edit it directly in the field or using the calendar. For the Octopus users who use the timer, you will notice that if you have unused efforts, the input method will be Manual be default, allowing you to choose the date/time of your entry. The Change CI action now allows to modify the manufacturer and model for one or more CIs at once. For more information, see the Change CI section of the Service Asset and Configuration Management Wiki. The date of an activity is no longer initialized as soon as the activity dialog is opened. Now the date is, by default, empty. Upon saving, the system will automatically set the date/time at which the activity has been saved. But the Octopus user can still enter the date/time manually if required. When the timer is used for a request, by an Octopus user, the current behaviour will be preserved: the date of the first entry (in chronological order) will be attributed to the activity. The attribute section now allows you to view and edit the configuration attributes of your CIs. When Octopus sends an email, it must determine what address to use as the expeditor (From/De). By default, Octopus will use the Octopus user's email address, but this is not ideal if you want to use MailIntegration. Because if the user answers the email, the response will go to the Octopus user instead of the email used by MailIntegration that would add it automatically to the request as an activity. It is preferable to centralize the communications to the address used by the system, configured in the options. There has been a hidden parameter for a long time to force the use of the system address and not the Octopus user's. But a specialist or the Octopus Service Desk had to set it up. This option is now available under Tools > Options in the Email Options section. It's a checkbox just under the system's address. For more information, see the MailIntegration - Create Incidents or Events from Emails article. ADSIReader imports the AD data like User / PC / Printer records to Octopus for you . By default, if a field is filled in Octopus, like the job title, but the field is empty in AD, ADSIReader will not change the value in Octopus. There is a new option to force ADSIReader to overwrite existing values with empty values. Use this option if you consider AD to be a better source of information. So if a field is empty in AD, it will also be empty in Octopus. For more information, see the Erase the data in Octopus when a field is emptied in AD section of the ADSIReader - Integration to Active Directory article. You can use the CRTL+V keys to paste the content of your clipboard as an attachment to a record. A text or PNG file will be automatically created. Please note that this option is not available with Internet Explorer or Edge. In the external mode each requester is linked to a client account represented by the site. The option that allows requesters to register to the service now provides the user with the opportunity to enter their Client Number. This way as soon as he is registered, the system presents to this new user the appropriate types and templates according to the customer with whom he is associated. En mode de support externe, chaque demandeur est lié à un compte client représenté par le site. L'option permettant aux nouveaux demandeurs de s'inscrire au service offre maintenant à la personne de saisir son Numéro de client. To learn more about this mode, see the Support in external mode article. Changes to a CI's attributes have always been kept in the History tab. However, some attributes are very "volatile" and lead to a high volume of entries in the History tab. For example, if you import the disk space available for a PC from an external system, then we can imagine that each day the size varies by a few kilobytes, which creates an new entry in the history with each synchronization. It is now possible to control whether or not you want to keep the change history for each attribute. This same option is also available in the Custom Field Library under Tools > Configure fields. To find out more see the Service Asset and Configuration Management - Octopus Module article or the Custom Field Library one. The relationship window now allows to select multiple CIs at once. To find out more, see the Relationships Tab section of the Service Asset and Configuration Management - Octopus Module wiki. It is now possible to change the sorting order of lists in Octopus 5. Go to the Octopus Shortcut Keys page to see the complete list. We can now edit a section with a single click. You can also leave a section that is in edit mode to go to another section without having to cancel (unless changes have occurred). You can now choose what information is displayed in the deployment calendar. The Octopus administrator has access to a configuration button at the top right. 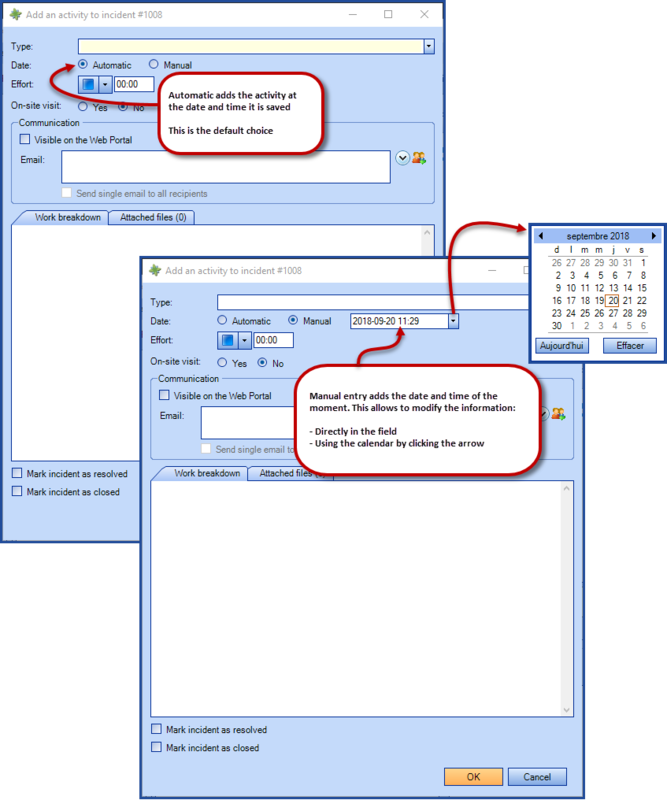 See the Deployment Calendar Configuration section of the Deployment Calendar Wiki for more information. The Change CI action can now modify the Main Contact, the Site and the Local of one or more CIs at a time. See the Change CI section of the Service Asset and Configuration Management Wiki for more information. If an Octopus user modifies a request using the form, you can now consult the original version with the Initial Description link. This link is available only if there has been a modification. See the Where to Find the Original Description of a Request section of the Custom Field Library Wiki for more information. Incident / SR creation is done using the forms from the SR and incident types. 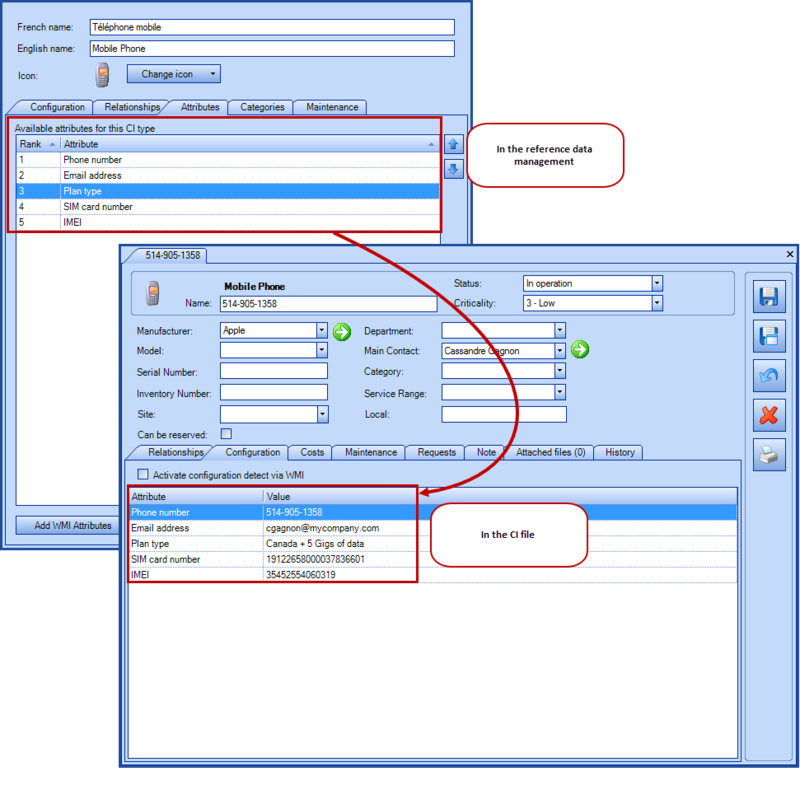 The configuration and grouping of your lists are reflected in Octopus 5. 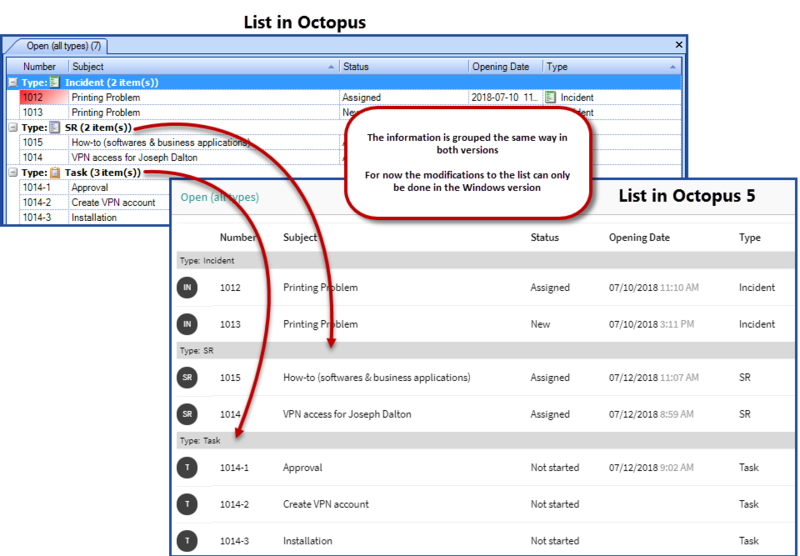 Note: The modification to sorting or grouping of lists must still be done through the Windows application for the moment. Quick Search now works to search for Incident, SR, CI, and User data. This feature will be improved in future releases to search for other data. But already one of the advantages is that the search is done on several modules at once. Octopus 5 now offers the ability to see your navigation history. The last 50 items that have been accessed are visible when you select the button. In the advanced search of the Windows version of Octopus you can also see the last 300 elements that have been opened by various Octopus users in Octopus 5. A new permission called Modify internal announcement allows you to control who can change the announcement. We invite you to review which role should have this permission. Consult the Role Management article for more information. If your internal announcements are often very long, you can opt to display them in a separate window. Contact us if you wish to enable the InternalAnnouncement.ShowInNewWindow option. When a request is created from Octopus, the default source is Telephone. This source can now be modified. To change your default source, contact us and mention the Sources.UseDefaultValue option and your default source choice. It is now possible to use the fields from your forms in searches and lists. This will allow you to exploit the data entered by users when creating requests using forms. This new option, however, modifies the behaviour of the Detailed description field in requests. The Custom fields library and changes to the Detailed description field will be deployed with version 4.2.290. For existing customers, an article helps you prepare for the Conversion to custom fields. See the Custom field library article for the complete information on how to use the library. Here is the summer logo that was voted during the Journée des utilisateurs on May 28th. You can now create SR types that send a notification as soon as the request is created and resolve automatically. To do this, make sure that the SR type contains only a Notification task with the recipients and that the automatic resolution option is enabled on this type. 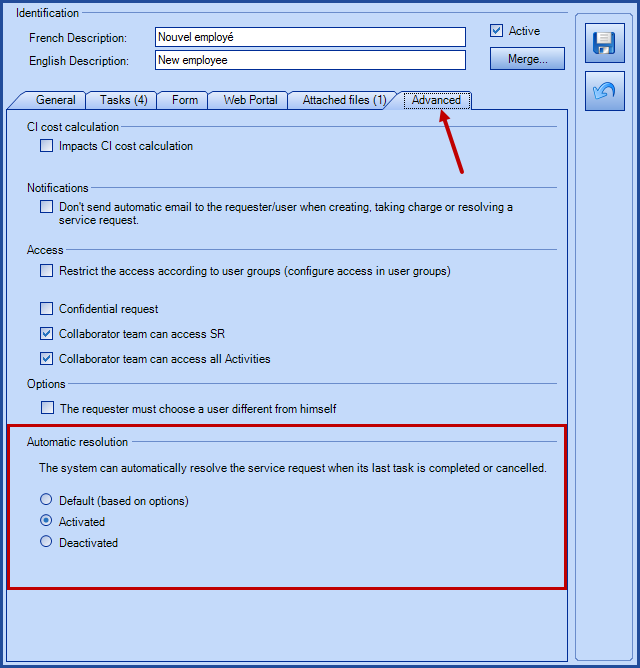 See the Using Notification Tasks section of the Task Management article for more information on this type of task. A new field has been added at the top of each Wiki page. When you click the field, it automatically opens all the accordions contained in the page and makes it easier to print. When you click the field, it automatically opens all the collapsed sections contained in the page and makes it easier to read and print. 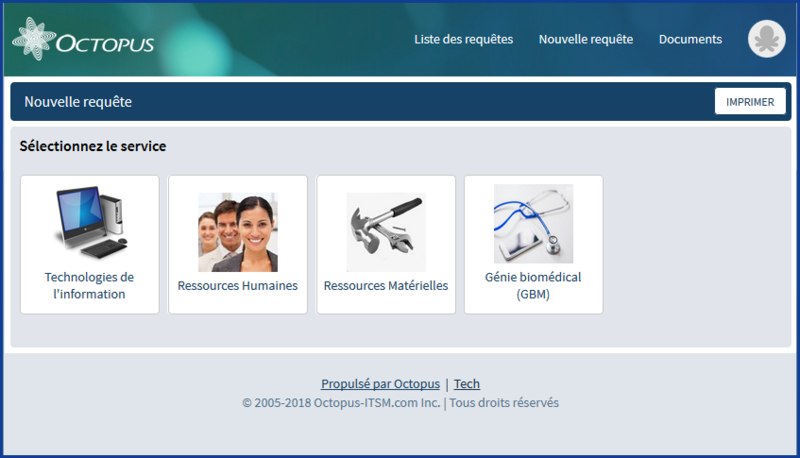 Several reference pages are available under the Octopus Help menu. Most of these pages are also available in an Internet browser. To get the link of the page, right-click and copy current page's address to send it to another person or look it up out of Octopus. For more information, see the How to copy the address of an Octopus reference page into a browser page. In version 4.2.160 we introduced the possibility of adding information beside the name of a user in the Web Portal and in Octopus. For the other choices and to learn more about this option, see the Additional information in the selection of a user page. We can now consult the deployment calendar past the last three months. By default, the week view of the deployment calendar shows the deployments from 7:00 to 00:00. As most deployments are done out of this range a new option allows to modify the start time of the range, for example to 00:00 in order to see 24 hours at a time. Contact us if you want to modify your time range and mention the DeploymentCalendar.StartTime option. See the Change Management and Deployment calendar Wikis to find out more about these elements in Octopus. Members of a group assigned to a task in a module where they have no access are now considered as contributors and they will have more control over the task. For example, if the Technician group does not have access to the Change module, but has been assigned a task from a change, the behaviour will now be different. A new look for the Web Portal and WebTech is now available. To minimize the impact of this new look on your users it needs to be activated manually. The new look also affects smart devices. The new look is only compatible with newer versions of browsers. In the old browsers (IE9) the old look is presented. The application features stay the same. Activating the new look will affect all teams that use Octopus in your organization. Start by reading the Web Portal - Setting up the modern mode Wiki. Communicate the changes to everyone who will be impacted. From the Tools > Options > Modern Web Portal and activate the option. To be able to do this action, you must have the Modify common team data permission in one of the Octopus teams. Warning; this action affects the Web Portal for all teams. Your users can now benefit from a brand new request creation experience that accompanies the user in discovering the services offered and in selecting the type of request he wants to submit. Activating this experience will affect all the teams that use Octopus in your organization. The experience also affects smart devices. Preparation needs to the be done before activating this experience. You will need to prepare images and descriptions for each team (service) as well as the categories for incidents and service requests. You will probably opt to reorganize your incident templates and SR types. Make sure to plan things. If you have more than one team in Octopus, make sure everything is ready before going into production. Contact us to activate the tiles! And mention the option WebUI.CreateRequestWizard.Enabled. You can now configure the basic characteristics of a team such as the name, the image that will be used in tiles, instructions, etc. To configure these options, go to Options > Reference data management > Teams. You must have the Modify common team data permission to modify this information. We can now force a user who is not satisfied to add a comment to explain why. The comment could even be mandatory at all times. Go to Tools > Option > Satisfaction survey to activate this option. For more information, see the Octopus Satisfaction Survey Overview article. The parent-child relationship between a major incident and the child incidents created by the users now synchronize changes to the parent status to the child requests. If, for example, the parent request is suspended, the child requests will automatically be suspended. For more information on the parent-child relationship or to find out more about the different types of relations between requests, see the Request Relationships article. There is now an option to view cancelled requests in the list of recent requests and in the history on the Web Portal. Go to Tools > Option > Visibility of cancelled requests via the Web Portal to activate this option. Find out more with the Web Portal Operation Wiki. Will be Mutiple CI if more then one CI is covered by the request. By default the subject is composed of the following variables Name of the template - CI Name - Planned Date. Contact us if you want to modify this configuration. See the Planned Request Management Wiki to find out more about this solution. 1. Configure the external system to send an email with content that matches the expected format to a new email address. 2. Set up a new task with MailIntegration to process messages from this mailbox. This feature allows you to create SRs by specifying the custom fields of the template, which will trigger the right tasks based on the specified SR type. Contact us for more information on the possibilities and configuration of this option. An article with more information will be available soon. It is now possible to specify the maximum number of sub-site levels that the requester can specify in a request. This is convenient to avoid going too far in the site structure. For example, if the locals are at level 4 of your structure and you do not want the requester to specify the location with in such detail, specify a maximum of 3 levels. When you configure the form, just add a maximum number of levels to the Site type field. MailIntegration now recognizes delegates in the emails received. If someone uses this feature from their email to approve a request on behalf of someone else, the system will recognize the situation and process the approval accordingly. The message will say "Name the delegate" on behalf of "Name of the person who received the approval". When a major incident occurs, it is often tedious to classify all the incidents that users create to report the same situation. The parent-child relationship feature between the major incident and the multiple incidents created by the users allows the automatic child classification. When linking a parent incident to one or more child incidents, the parent's classification information is automatically assigned to the child requests. In a typical service catalogue, you create Service type CIs and associate each SR type with the Service to which it belongs. The requests tab of a Service CI now also includes requests of SR types that points to this service. The option of a single approver who receives a request for approval with MailIntegration deployed has allowed to approve or deny with simply a "yes" or "no" answer to the email for a long time. The task has been assigned in Direct mode to an approvers pool type group. When sending an activity by email, the list of quick choices allows to communicate easily with the person responsible for the request. The task assignee has now been added to the available choices in the list to facilitate the communication. Permissions | Adjustment of the permissions to modify the Show requests from all the groups that are normally filtered by groups field. We have adjusted the permissions required to allow an Octopus user to modify the Show requests from all the groups that are normally filtered by groups field. See the Permissions section of the Role Management Wiki, to see the complete list of Octopus permissions. 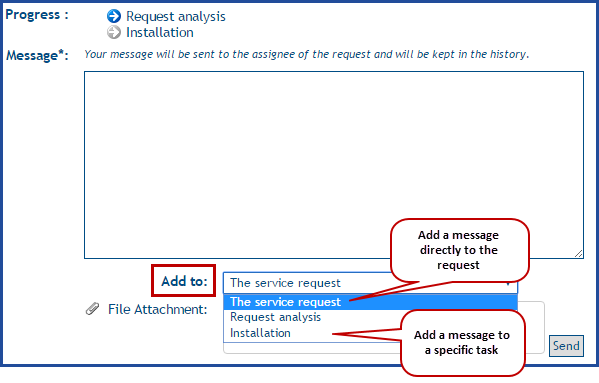 There has been a global option called Automatic service request (SR) resolution for a long time that allows to automatically resolve an SR as soon as the last task is completed or cancelled. It is now possible to configure this option per SR type, from the Advanced tab. It is now possible to configure the information displayed in the user lists on the Web Portal. Communicate with us to find out more on this option. Incidents created from emails that are processed by MailIntegration have no template. A new action called Select the template allows to select an incident template and fill out the form linked to it. To find out more on these reports, see the Reports and Statistics Module Wiki. You can now control the display order of the CI attributes. This allows you to group them without having to assign a prefix to each attribute. You can now manage the display order of the CI attributes directly from the import. The DataImporter - Import attributes for CI types Wiki article describes how this is done from version 4.2.150 and on. 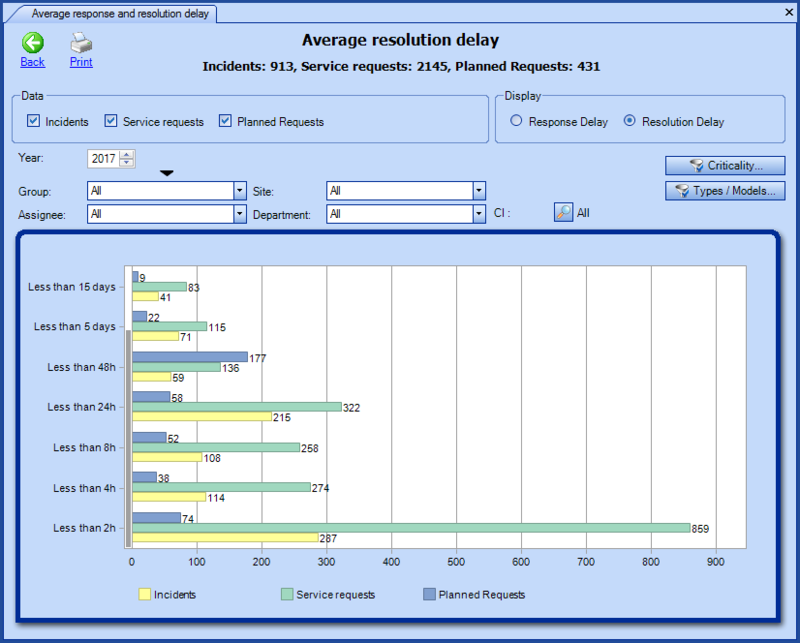 The new Average response and resolution delay report will be a usefull tool to achieve and maintain good service targets. The Reports and Statistics Module Wiki article will be updated with this new information shortly. When an Octopus user (technician) is deactivated, the requests assigned to his name that are In process will be changed to Assigned in addition to removing his name from the assignment section. This behaviour could result in multiple requests that were previously In process without an assignee name to be found in the New and To take assignment lists and will have to be assigned to another person. It is common for a form to contain a number of fields that are very similar to each other. You can now use the Duplicate action to quickly create a copy of a field within the same form. To do this, select the field to be duplicated and use the button on the right of the delete button. By default, the new field will be placed under the field with a checkbox or at the end of the form, if no box were checked. ADSIReader now handles better the AD: Last Logon Date when used in a context with multiple domain controllers. To be harmonized with the new graphs, the Number series has been added to the Planned request breakdown graph. A new graph called Request type breakdown introduces our first pie chart, which offers a global visibility of the time entered through the activities or the number of completed requests for a given period of time. For more information about reports in Octopus, see the Reports and Statistics Module Wiki, more specifically the part about Request type breakdown. The reports and statistics are now accessible from the Reports and statistics button of the main tool bar, which provides a better overview of the tools to analyze your data. The documentation for this module has also been revised to reflect this change, see the Reports and Statistics Module Wiki page. A new graph named Request types per month offers a better visibility of the time entered through the activities or the number of completed requests for more efficient resource management. This report will be very useful for the planned requests management. For more information on this new report, see the Request types by month section of the Reports and Statistics Module Wiki. This way, you can fit more fields or questions per page. To find out more, look at the table in the Available field types section of the Create customized forms in Octopus Wiki, as well as the Site section. By adding a Site field to a form, you can now specify the minimum level required when the requester completes the request. You can add a Site type field to your form called "Floor or Office affected" and indicate that the minimum level is 2. This way the requester will need to specify a floor or more in the request. For more information on this new option, see the Site section from the Create customized forms in Octopus Wiki. This modification affects only customers that filter incident templates and SR types according to the site. When a requester selects a site or a user from a different site, the system will load the list of requests available for the new site or the other user's site. A requester "visiting" another site can submit a request specific to this site. A requester can submit a request for a user from another site. For more information, see the How Octopus handles site restriction? section of the Site Management Wiki. For more information on CI imports, consult our DataImporter - Import CIs Wiki. You can now select multiple tasks in a list and use the Assign action to assign them in a single step. See the How to assign in a batch? FAQ for more information. It is now possible to control the valid responses to approve or reject an approval request response received by email. For example, it is possible to configure "OK" as a valid approval response. Contact us if you want to change the standard response configuration (yes, no, yes, no). To find out more on user imports, see the DataImporter - Import Users Wiki. 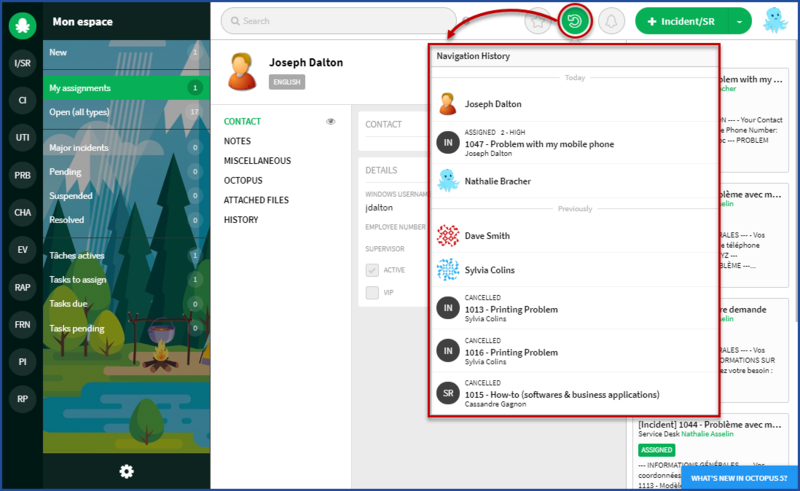 Octopus now offers more control over the permissions related to suppliers, contacts, and contracts. Create and modify a supplier. Delete and merge a supplier. Create and modify a contact. Create and modify a service contract. Create and modify a lease contract. 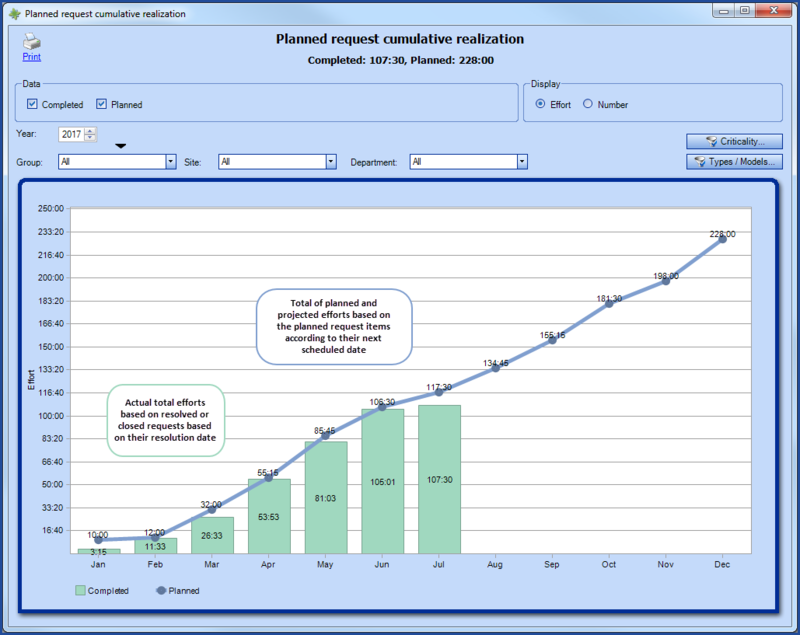 The new Planned request cumulative realization graph allows comparing what was Planned versus what was Completed. In addition, the graph can be viewed by Effort or by Number of requests. 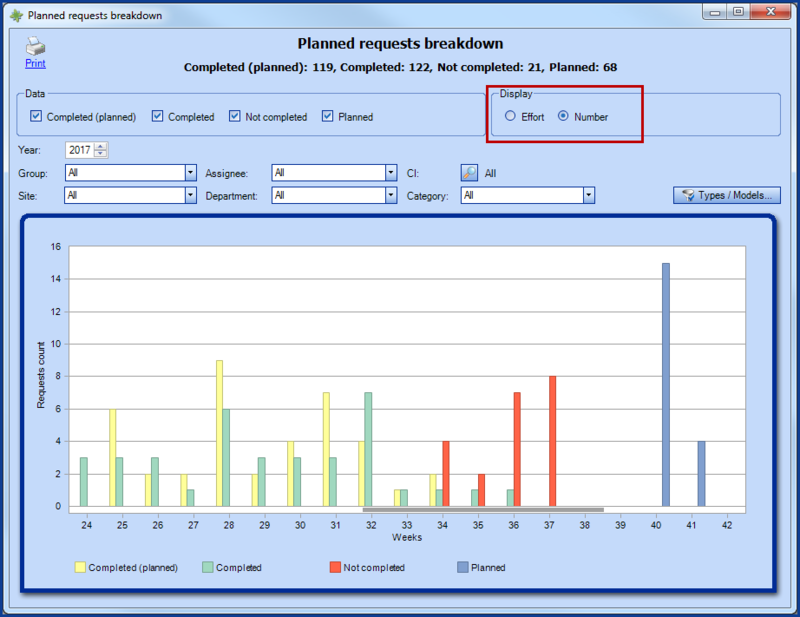 To find out more about planned requests, see the Planned Request Management article or more precisely the section on the Planned request cumulative realization graph. In addition to incidents and SR, you can now create reminders with tasks. For more information, see the Reminders Management Wiki. You can now create procedure type forms in incident templates and SR types without the submit button in the form. Problem: Let's say you have an IT team and a Telephony team and your users keep submitting telephony requests to the wrong team, using the Any other issue template. "This type of request is managed by the Telephony team, please select this service in the previous dropdown list". This way, the users will know which procedure to follow. This works automatically. If a template contains only Header or Comment type fields, without any field that could be entered by the user, then the form will not show the Submit button and will automatically go into a Procedure type. You can now import the responsible Group for a CI. Consult the DataImporter - Import CIs Wiki for the complete documentation about importing CIs. You can now update incidents/SR with DataImporter. Consult the DataImporter - Import Requests Wiki for the complete documentation about importing incidents/SR. We have added a new option to allow you to review the list notifications that you did not have time to consult. To access it, go to File > My pending notifications. We also added a button to confirm that one or more notifications have been read. This will give you better control over your list notifications. To find out more, consult the Notifications Wiki. A Note field has been added to the department and site reference data to add information, such as who is responsible for a department or who to contact in case of site emergency. 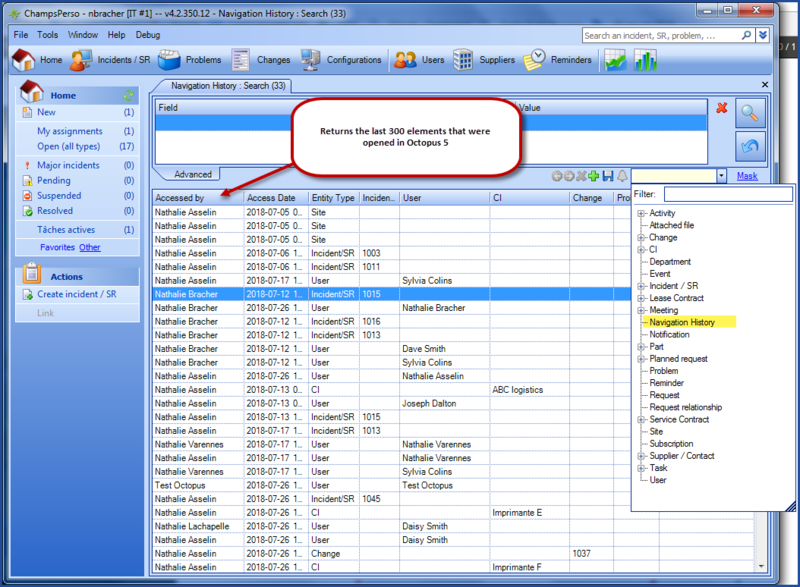 The Note field can be added as a list column to consult the information or use it as a search criteria. We added a new column to the planned maintenance workload graph called Completed (planned) that allows to see the efforts that had been planned once the planned request had been completed. To find out more about planned requests in Octopus, see our Planned Request Management article, more precisely the Planned efforts breakdown section. DataImporter now allows to import attachments for users, service and lease contracts, planned requests as well as suppliers / manufacturers. In addition, the attachments can be sent to the proper folders on your network as well as on our servers if required. The DataImporter documentation will be revised soon to include these new instructions. Contact us for more information on these types of imports. The Approve a task permission was created to allow an Octopus user to manually approve an approval task in the name of another user. An Octopus user without this permission cannot approve a task assigned to another person, but can still approve one assigned to himself. See the Role Management Wiki for more information or consult the list of permissions. The multiteam collaboration is finally here! 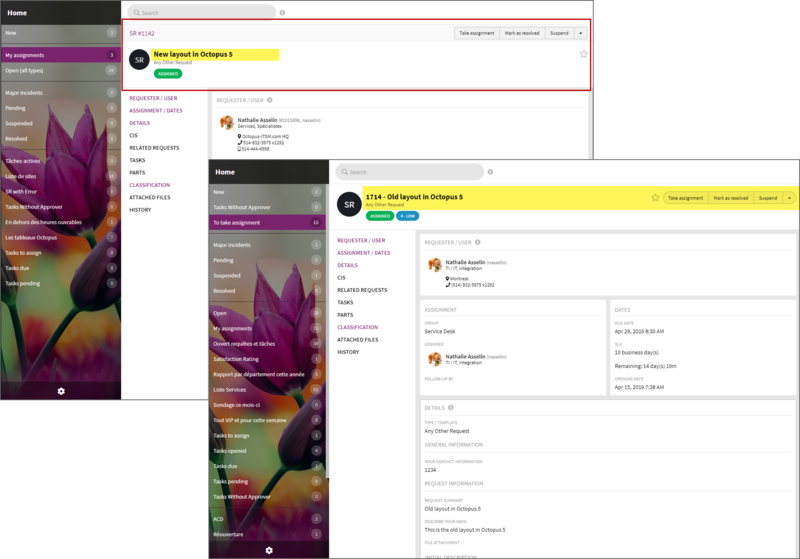 The multiteam collaboration allows to share tasks of many request types with one or more teams (IT, Biomedical engineering, Building maintenance, etc.). 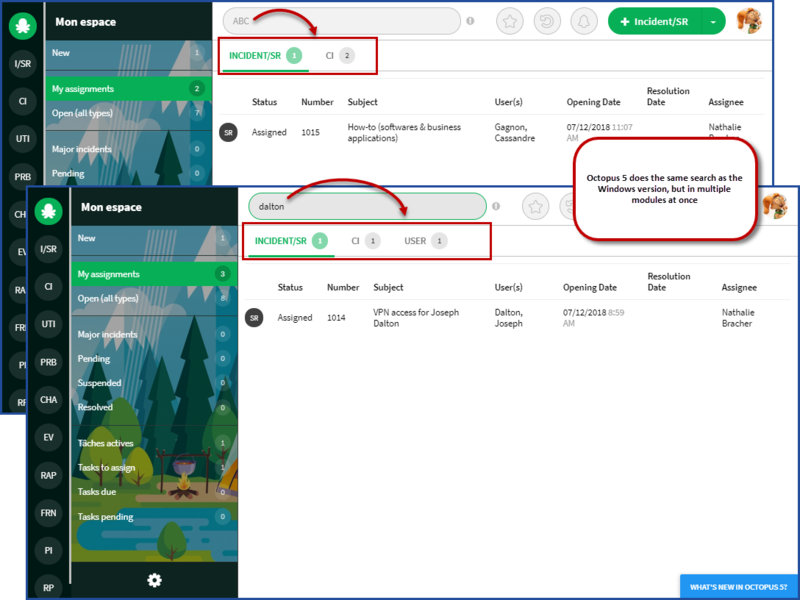 With this feature, request duplications will be reduced and provide the end user a simplified experience when their request affects multiple teams. With this collaboration between teams, the terms Owning team and Collaborating team will now be part of the Octopus vocabulary. The owning team owns the whole service request and delegates tasks to the collaborating team(s). The collaborating team(s) will therefore be assigned one or more tasks to be processed. 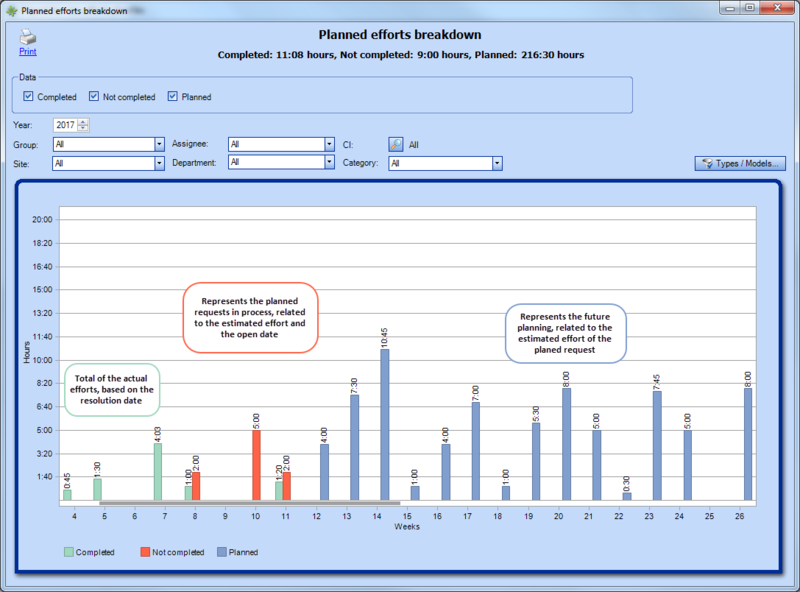 A new graph now offers the possibility to visualize your planned maintenance workload. This allows to quickly see the busy periods and effectively reassign maintenances towards periods with more free time. As with sites, departments are no longer limited to two levels. You can now add as many sub-levels as required to properly represent your organizational structure. DataImporter now allows importing relationships, attributes, categories and the icon of a CI type. The information related to this type of import will soon be added to the DataImporter article. For more information on these new import types, communicate with our Service Desk. The site related to the request (Incident/SR) is now based on the user instead of the requester. This is required to properly reflect the location where the work is done, which is in fact the user's site. However, requests filtered by site stay linked to the requester's site as well as the restrictions by user group, since these restrictions are a form of permission related to the authorized requester. Some service requests have a workflow that involves a close collaboration with the requester. In such cases, the requester knows the workflow well and must provide additional information required for the execution of some tasks. In an SR type, you can now check the Allow adding specific activities to a task option. Once this option has been activated, and the task is Visible on the Web Portal, when a user adds an activity from the Web Portal, he can select the task in which to add his activity. The Allow adding specific activities to a task option is available from the Web Portal tab of the SR type from which you want to collaborate with the requester. You can access it from Tools > Reference Data Management > Service request > Types. On the Web Portal, the requester can select to add the message to the service request, or to a specific task in the workflow. All changes related to adding or removing an Octopus user from a group will now be recorded in the user's history. 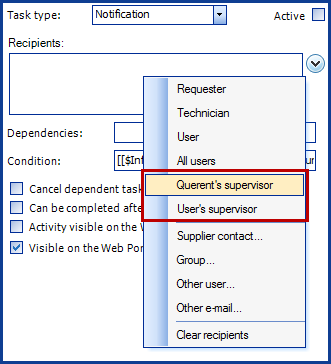 A new type of recipient is available in the notification tasks either the Querent's supervisor or the User's supervisor. Please note that for service requests in process, the two options will be available only if the requester and the user are different.